WE ARE Archangels Lady Amethyst and Zadkiel, and we greet you in Love. Today we wish to discuss the Divine balance of masculine and feminine. You are making great strides in honoring both your Divine Masculine and Divine Feminine aspects. You have recognized that both are necessary for your complete Being to shine. Now you are ready to take the next step of continuing to honor and balance both aspects. 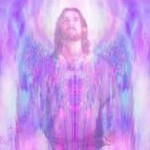 Let us first explain why this is a necessary step in the ascension process. When you first burst forth from the Creator, the Divine Masculine and Divine Feminine were one Soul that contained both aspects. Then you separated into the two aspects. So you see, in the Highest Realms the Divine Masculine and the Divine Feminine are one combined Being or energy. There is no separation. They could be considered as two sides of the same coin. When you are looking only at one side, you are seeing the attributes of that side. However, when you turn the coin over, you are seeing the attributes of the other aspect. If you view the coin from a distance, you are seeing the complete coin, not just one side or aspect. You may ask if that is the case, why we are referred to as masculine or feminine in our aspects. You are living in a third dimensional reality where duality is the norm. It can sometimes be hard for you to conceptualize that one Higher Being contains both the masculine and feminine aspects. You are accustomed to seeing duality in many areas of life because it is an attribute of your dimension. We come to you in your reality as one aspect or the other, either Divine Masculine or Divine Feminine. 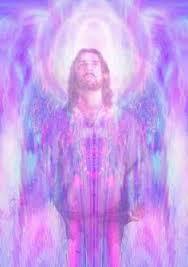 We come to you as Archangel Zadkiel or Archangel Lady Amethyst depending on which qualities you need at the moment. Our mission is to be of service, and we present ourselves in the way that we can be of greatest service to you. However, in the Higher Dimensions there is no duality. The illusion of this separation is not present. Everything is viewed as a complete whole. There is oneness of the Being, and both aspects are available for highest good. Therefore, the more you can incorporate and appreciate each aspect of your own Being, the more easily you can move forward on your ascension journey. You can honor each aspect by contemplating the positive qualities you display in each part. In the Divine Feminine, you may show love, kindness, gentleness, and compassion. For the Divine Masculine, you may express courage, strength, and bravery. Of course, these attributes are not limited to just one or the other aspect. It is the third dimensional way to assign these attributes to one aspect or the other. The important thing is to look within yourself and see the ways in which you express your Divine Feminine and your Divine Masculine. As you focus on each quality, you may wish to thank it for being part of you and for helping you on your ascension path. Each quality has been and continues to be a part of your journey. As you go throughout your day, you may find yourself consciously expressing an attribute and being aware of it. This strengthens that attribute, and you are able to incorporate it more fully into your Being. If it is an attribute that you assign to the Divine Feminine, you can reflect on which aspect of the Divine Masculine would be a complement of it. All attributes work together for completeness. Remember that you are an individualized Soul on the third dimension of expression and contain your own unique combination of the Divine Masculine and Divine Feminine qualities. This is the combination that you brought in to this lifetime to help you carry out your unique mission. Therefore, honoring your Self and appreciating your own qualities can help you rise to even higher dimensions. Beloveds, we are happy that you are honoring your Divine Feminine and Divine Masculine aspects for highest good. We are just a whisper away and are happy to be with you on your ascension journey.